The Emergency Test Switch can monitor up to 5 lighting circuits and triggers a relay/contactor if any of the monitored lines fail. 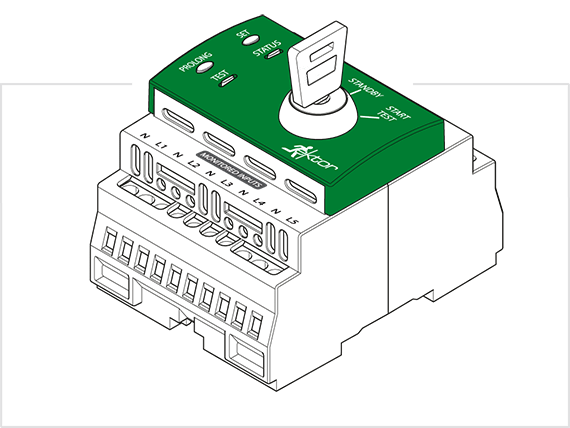 The device also has a key input which is used to start and stop emergency tests by triggering the relay/contactor. The buttons on the Emergency Test Switch are used for commissioning purposes (i.e. Enable/Disable Prolong, Set Duration Time, Enable/Disable Monitoring Lines). WHY USE AN EMERGENCY TEST SWITCH? The Emergency Test Switch is used as an emergency manual test facility as well as an circuit sensing device and complies to AS 2293.1:2005 sensing of supply failure (2.3.3). 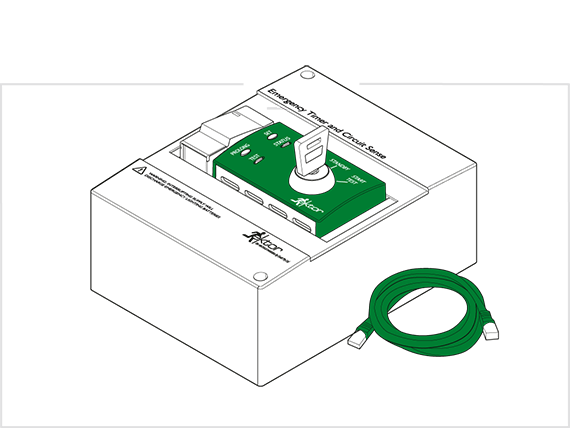 The Emergency Test Switch also provides additional features such as prolong, where the devices can remain in emergency mode for an extended time allowing HID lights time to relight (AS 2293.1:2005 2.3.2). 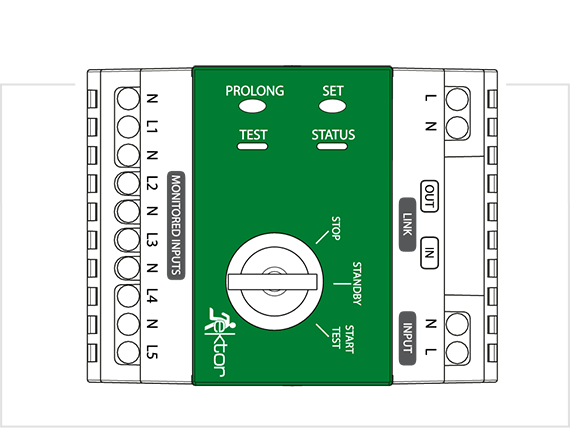 The Emergency Test Switch is sold in two different kits, with and without an Din Enclosure and pre-cut wires.